Well sculpted body boasts our confidence like no other. This deep situated fear that in order to look good one have to look in certain way, when we look good we feel good, we feel confident. But in this rat race world, who has patience to work out and wait for results, Why not opt for a body sculpting method which is not only safe but result oriented as well. Here at Dezire Clinic we provide you a second chance. Dezire Cosmetic clinic is one of the top liposuction clinics in India. A leading plastic aesthetic surgeon, Dr. Prashant Yadav has performed hundreds of different cosmetic surgeries in his professional career, with liposuction one of the most commonly performed. First place where fat accumulate is our stomach the problem can occur as the result of such factors as obesity, deep subcutaneous fat deposits, c-section, age or gravity. Many people suffer from stubborn abdominal fat that doesn’t respond to exercise or diet. Dezire Cosmetic clinic frequently resolves this problem with effective stomach liposuction treatment at affordable price. Localized thigh fat most often develops in women and can be hereditary or the result of excessive caloric intake without sufficient exercise to compensate. Getting rid of this outer thigh fat is extremely difficult. Dr Prashant Yadav is able to treat this issue by administering liposuction to the outer thigh and area under the buttock. This treatment is safe with long lasting results. Inner thigh fat does not only look bad but it brings along lots or problems as well, one of those problems is rashes, so what is the solution. Dr. Prashant Yadav addresses this condition by performing liposuction on thighs, removing fat while leaving behind smoother and better contoured legs. Recovery from inner thigh liposuction is typically faster than other areas of the body. Liposuction is performed on the lower back, the back of the thigh or on the hips. But removal of excessive buttocks fat can lead to disappointing, unnatural results. Dr. Prashant Yadav uses caution and an expert artistic eye to create a natural-looking, properly curved effect that gives his patients a slim, but well-rounded posterior. Inner knees are the most delicate part of our anatomy. Fat accumulated here can only be treated through liposuction. The entire knee can’t be targeted with liposuction. Dr. Prashant Yadav can sculpt the inner areas of the knee to create an aesthetically pleasing leg contour. Treatment of these areas alone is all that’s necessary to give patients an improved look. They are also the only regions of the knee that should be treated. The top and outer knee cannot be easily changed and the back of the knee contains too many fragile, vital nerves and blood vessels for knee liposuction to be safely performed. The calves are primarily composed of muscle, with only one layer of low volume fat. Rarely any fat deposits here. Genetic predisposition and excess weight may cause the bottom of the legs to look overly full and the Achilles tendons to lose definition. Dr Prashant Yadav uses liposuction to remove fat and sculpt calf contours (often together with the ankles). Before he decides on this course of treatment, though, Dr. Prashant Yadav will assess the make-up of the area. If the calves are large due to muscle development and not fat localization, liposuction would not be the appropriate treatment option. Liposuction is often very effective in treating this problem if it is due to excessive fat. The fat deposits that develop on ankles are not deeply placed and respond well to the use of liposuction. What of the procedure of liposuction? Through small incisions, the cannula is inserted into fatty areas between skin and muscle where it removes excess fat either using a suction pump or a large syringe. This results in a smoother, improved body contour. The length of the procedure will vary with the amount of fat needing removed. It’s minimal invasive, safe and provides long lasting results. • Temporary swelling, bruising, soreness, and numbness in and around the treated areas. • Irritation and minor scarring around the incision sites where the cannulas were inserted. • Baggy or rippling skin. The skin will usually tighten and retract after a few months. Recovery is usually quick. Most people can return to work within a few days and to normal activities within about two weeks. You should expect bruising, swelling and soreness for a least a few weeks. Dezire Clinic strives to provide best cosmetic treatment at affordable price. 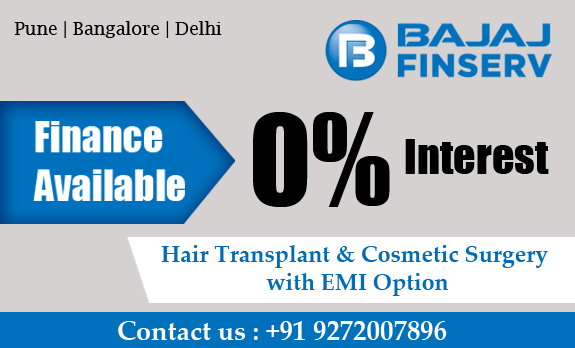 But this price varies from person to person for estimate cost of your surgery or any other query kindly call us on +919272007896, +918485084716 to schedule your consultation or mail us dezireclinicindia@gmail.com.